Born on March 12, 1934 in Valmiera, Latvia. Spent early childhood with parents in Jelgava and with grandparents in Riga. Started primary school at the Jelgava Teachers’ College. In 1944, the family evacuated to Germany and stayed in refugee camps; in 1948 emigrated to France where he attended the College Chevrollier in Angers. Moved to Canada in 1954. Obtained a B.A.Sc. degree in Engineering Science at the University of Toronto, Canada, in 1960 and M.A.Sc. in 1961. Began working as Computer Systems Specialist with IBM in Montreal, Canada (1961-63), then as Assistant Professor and Specialist at McGill University, Montreal, where he obtained a Ph.D. in Computer Science in 1975. From 1976 to 1999, Professor of Informatics at the University of Quebec in Montreal (UQAM) and Director of Informatics study programs. Invited guest professor at the University of Montpellier II, France (1974-76), and Oxford University, England (1982-83). Repatriated to Latvia in October 1999. Since 2000, IT specialist at the IT division, University of Latvia and at the President’s Chancellery. Professional and research activities in the field of Computer Software Engineering. Vice-president and co-owner of AMECO Systems Consultants Inc., Montreal (1987-97) and co-author (with A. Palejs, P.Eng.) responsible for the computational aspects of the expert system in structural engineering AMECO for steel and concrete structures, with a high level user language interface, a major software product. Between 1976-82, IT consultant and developer of financial software for several Canadian financial institutions and the “Caisse de placement et de dépôt du Québec”. IT consultant and President of Anacor Systems Ltd., Montreal (1969-70), Vice-president, Financial Research Institute, Montreal (1967-68). Consultant and professor for the Canadian International Development Agency (CIDA) in Morocco (1980). Collaborated, with Prof. Vaira Vike-Freiberga, in computer-assisted research of Latvian Folk song texts, which was supported by grants from the Social Sciences and Humanities Research Council of Canada. Initiated the transcription of several Latvian folk song text collections in computer readable form, and built data-bases and software tools to make them available for researchers worldwide. Co-author of the book “Latvian Sun Songs” and author of the “Latvian Sun Song Index”. Author of technical reports, lecture notes, book chapters, scientific and popular articles, and presentations at conferences and seminars. Visited Latvia several times since 1973 with invited lectures about Software engineering and Daina research topics at the University of Latvia and the Latvian Academy of Sciences, where he received an Honorary Doctorate (Dr.sci.h.c.) in 1991. Honorary orders of merit received from Presidents of many countries since 2000. Between 1957 and 1999, active participant in various Latvian community activities in Canada and USA: organisation of the First Latvian Youth Festival, of Technical Congresses, of Latvian Youth Seminars; and subsequently co-direction, with Dr. Vaira Vike-Freiberga, of workshops in several Family Seminars in Latvia. Past president of the Latvian Foundation, Montreal Latvian Engineers Association, and Montreal Latvian Fraternities’ Association. In 2001, elected president of the Latvian Information and Communication Technologies Association (LIKTA), actively involved with IT industry and Information Society promotion and development in Latvia. Member of the UNESCO International Communications Council IPDC and of the UNESCO National Commission of Latvia. Member of various academic, governmental and non-governmental committees and working groups. Regularly gives interviews, press briefings, and presentations of professional or popular nature in Latvia and abroad. Member of Latvian national delegations at International events organised by the UN, or the World Bank. Accompanies the President of Latvia at State functions and Official visits abroad. 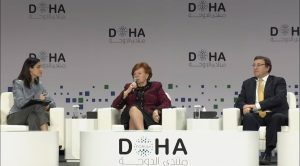 Since 1960, married to Prof. Vaira Vike-Freiberga, now President of Latvia; they have two children, son Karlis and daughter Indra.